After mixing, baking, and decorating your perfect cake creation, the last thing you want is a mishap while transporting it to the party. 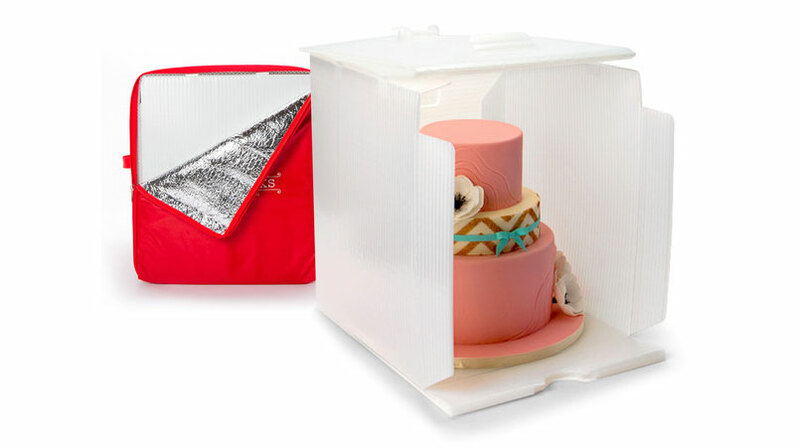 The Cake Porter & Insulated Cover is a convenient, inexpensive way to transport your cake safely and with confidence. Pillar has designed the cake porter with a simple construction that is structurally protective and can easily be flattened for storage. The additional soft-sided insulated cover provides protection from light, heat, and humidity. It was fun working with Innovative Sugarworks to bring yet another concept to market. Congrats Meghan, Kaysie, and Chris!